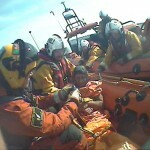 Blyth Royal National Lifeboat Institution (RNLI) lifeboat rescues a kayaker from the water in Cambois bay.  The volunteer crew of Blyth’s RNLI inshore lifeboat were requested to launch by Humber Coastguard shortly after 4:30pm Sunday 14 July 2013 to go to the assistance of a kayaker who had become separated from his kayak in Cambois bay to the north of Blyth. 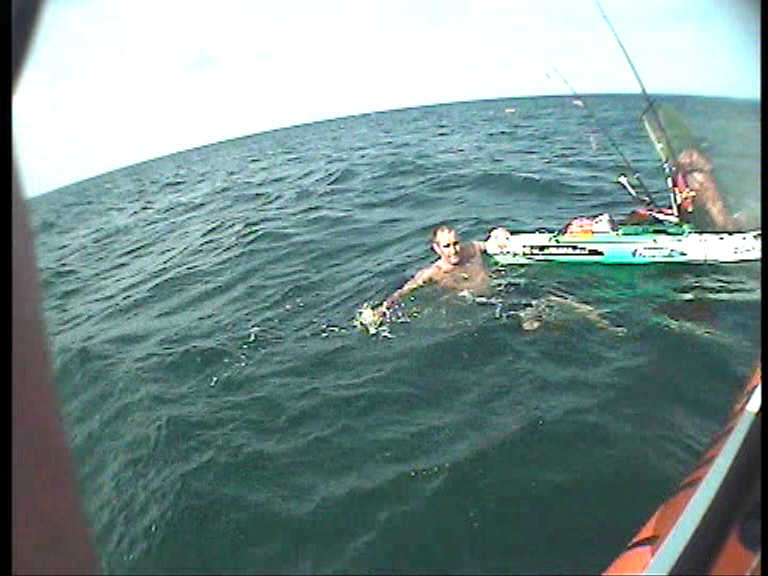 Another kayaker in the area had by chance caught sight of the man in the water and called Humber Coastguard on his VHF radio. 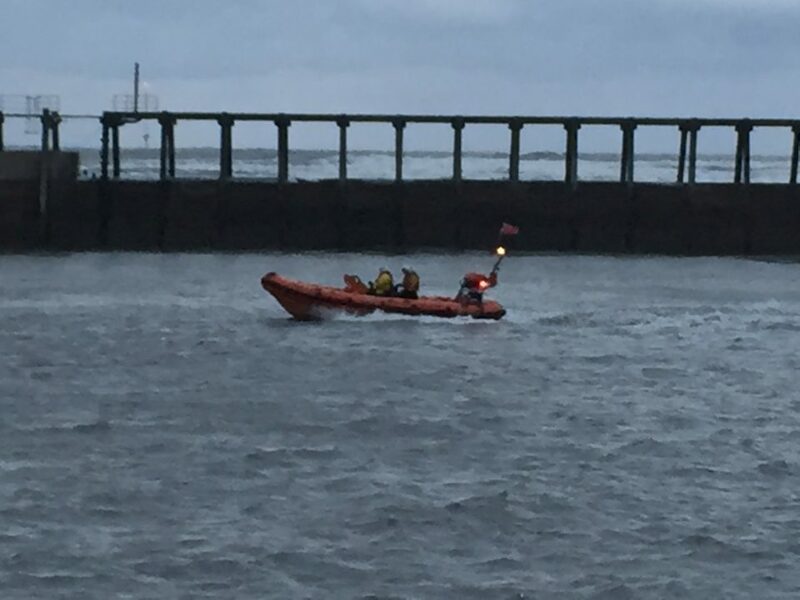 Blyth lifeboat crew were able to establish contact with the second kayaker by VHF radio and quickly locate them both just off-shore of the wind turbines in Cambois Bay. 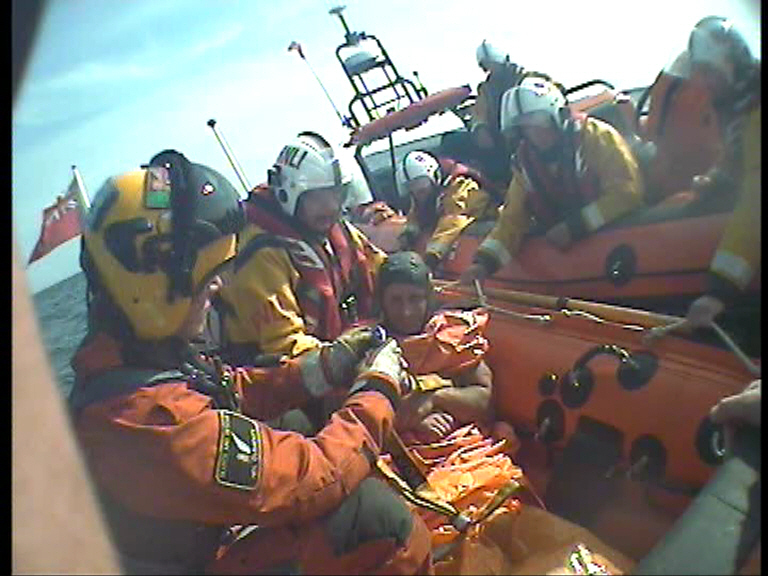 Once alongside, the casualty was taken onboard the lifeboat and treated for the signs and symptoms of cold and hypothermia. 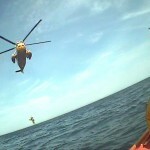 Cullercoats lifeboat which had just completed a launch to another casualty arrived shortly afterwards. 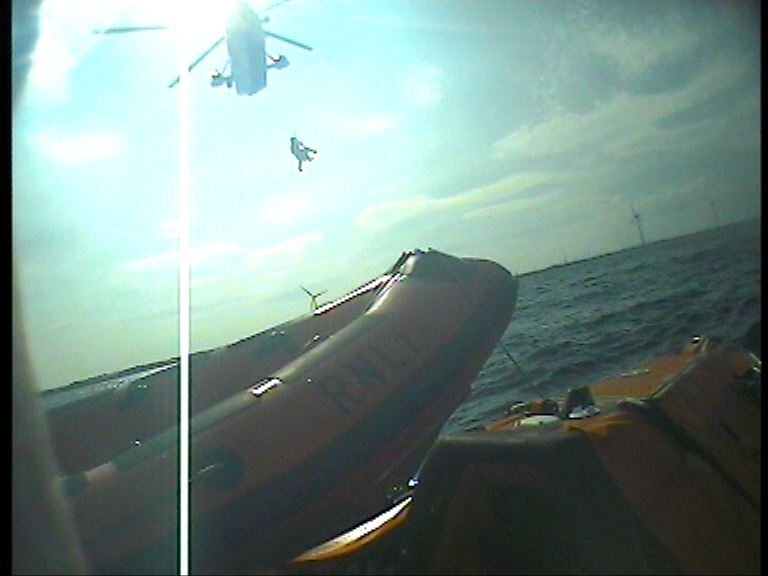 The two lifeboats were tied together to form a more stable platform from which a rescue helicopter from RAF Boulmer could winch the casualty and transfer him quickly to hospital. 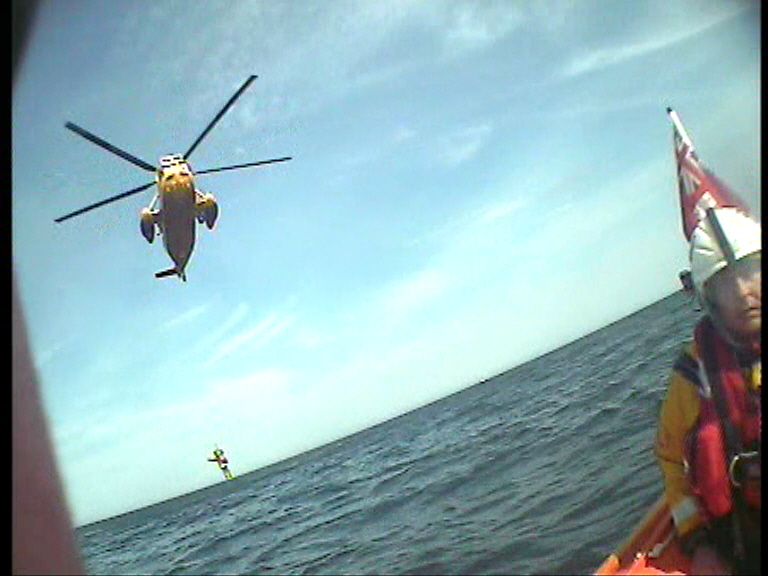 Once the casualty was safely with the helicopter crew Blyth lifeboat checked that the second kayaker who had raised the alarm was safe and heading back to shore. 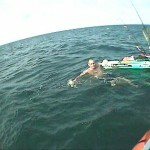 Cullercoats lifeboat, by this point low on fuel, also recovered the kayak belonging to the casualty and returned to Blyth lifeboat station to re-fuel before returning to Cullercoats. 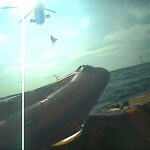 Blyth Lifeboat was ready for service again shortly before 5:30pm.